You are here: Home / BLOG / Uncategorized / What Do Fashion and Gardens Have To Do With Each Other? What Do Fashion and Gardens Have To Do With Each Other? Jean Paul Gaultier, The Road to Your Ideal Garden and How to Get There. My good friends and I just had the pleasure of experiencing the Jean Paul Gaultier exhibit at the De Young Museum this week and it got me to thinking about my love of fashion and of gardens and how they might relate. Plants are expressing their DNA to grow, bloom and reproduce. One could say that people and the way they choose to adorn themselves are expressing the same (!). Yes that’s right, plants as the first expression of fashion. An entire garden design could come from just one of these outfits by looking carefully- the lush details, the forms, the colors, textures. When I first meet with a client I ask them to gather together pictures, objects, fabric, books, music, anything that inspires them. We look at them all together and I start to create a map of who they are and what turns them on. I understand them more completely and how to make a garden that reflects their uniqueness. 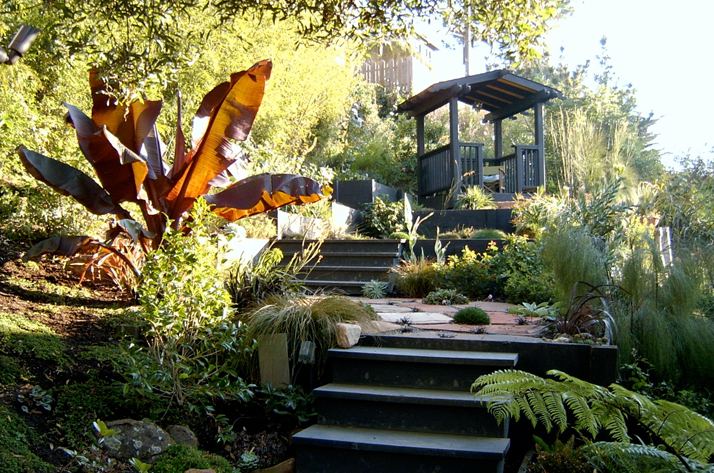 A garden should fulfill fantasies and be a source of inspiration and a place to be renewed. Looking at brilliant and wild fashion is a wonderful way of connecting to fantasy and creativity. Enjoy! http://www.veehorticulture.com/wp-content/uploads/2015/03/VEEHORTICULTURE_LOGO.jpg 0 0 Vanessa http://www.veehorticulture.com/wp-content/uploads/2015/03/VEEHORTICULTURE_LOGO.jpg Vanessa2012-04-15 22:49:532012-04-15 23:01:15What Do Fashion and Gardens Have To Do With Each Other? Thank you for the inspiration to look at my garden with a new perspective. After a while, what I ‘ve looked at so often looks so familiar that I really can’t see it anymore. These photos, as a stepping-off point for landscape design, bring me a new way of seeing. And isn’ that what creativity is about?